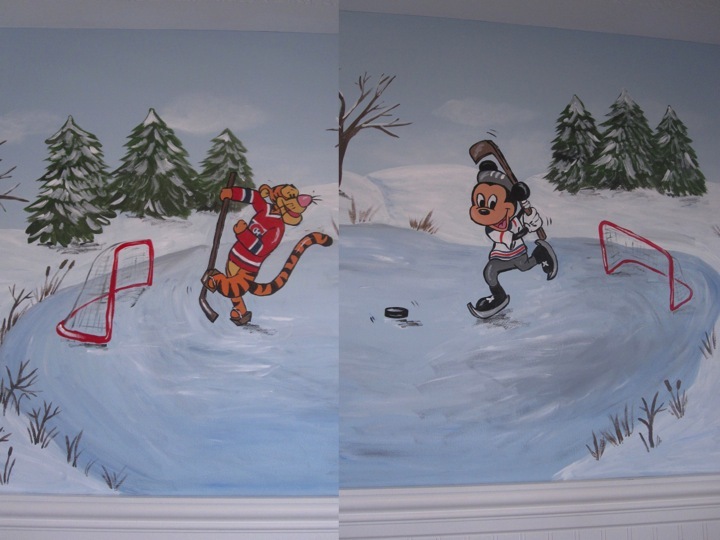 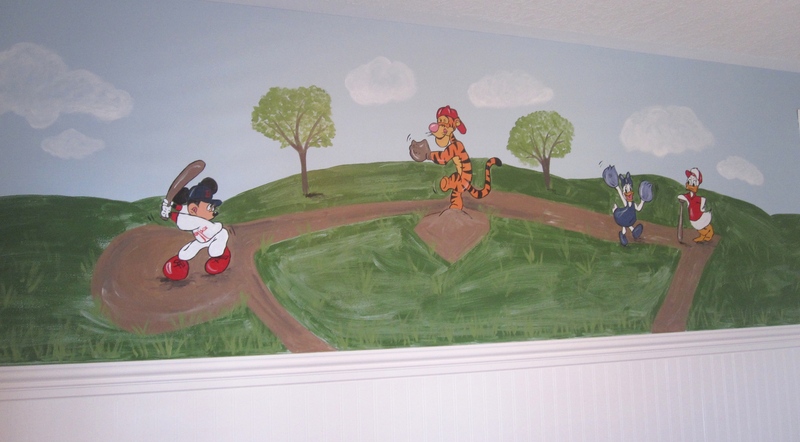 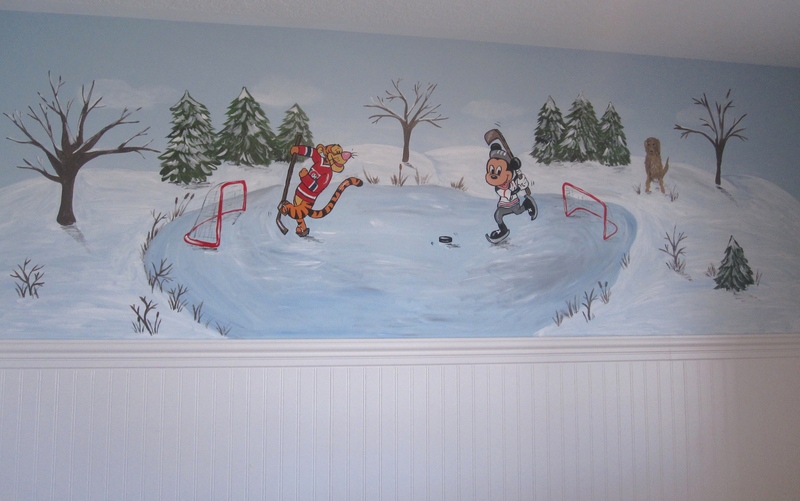 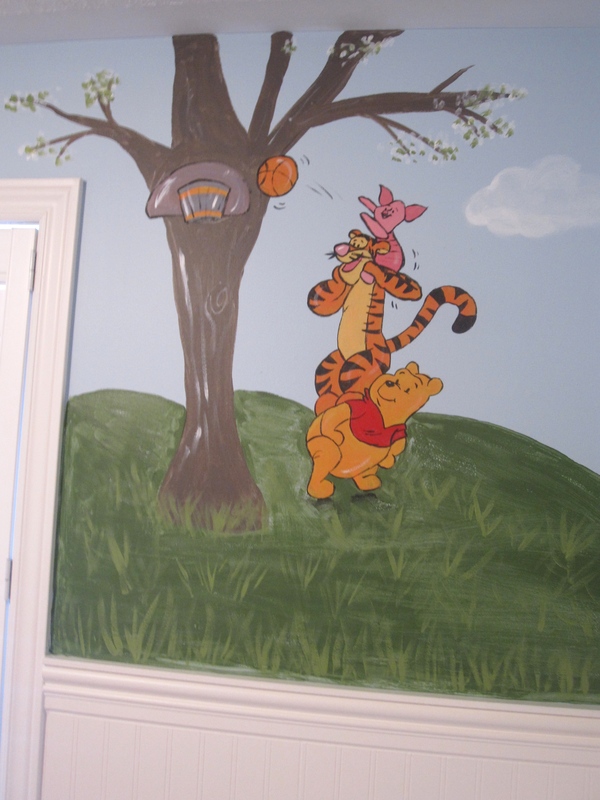 Over the holidays I had the privilege of painting a sports themed, four season mural for a boy’s nursery. 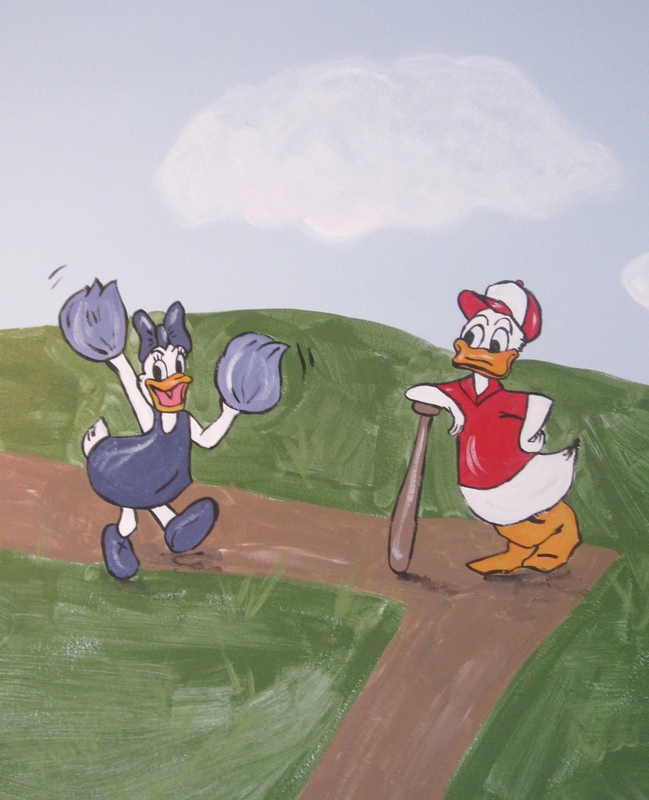 Specific sports teams jerseys were chosen which has special meanings. 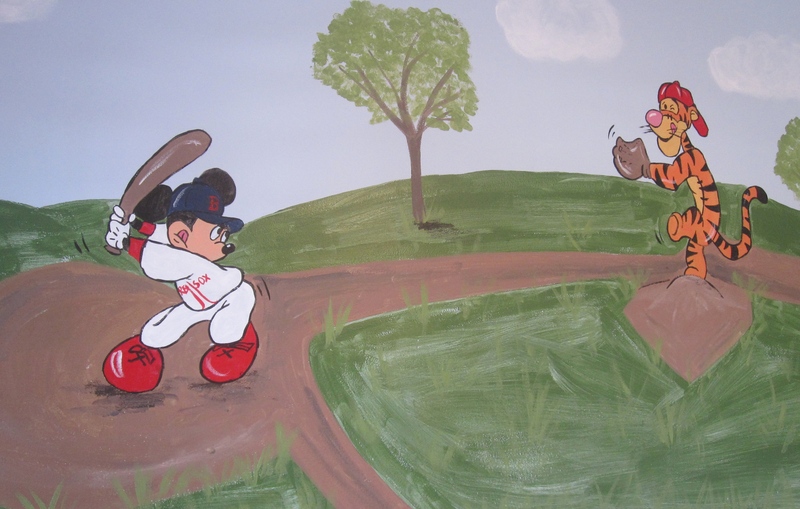 Even my client’s family dog made a cameo in this one! 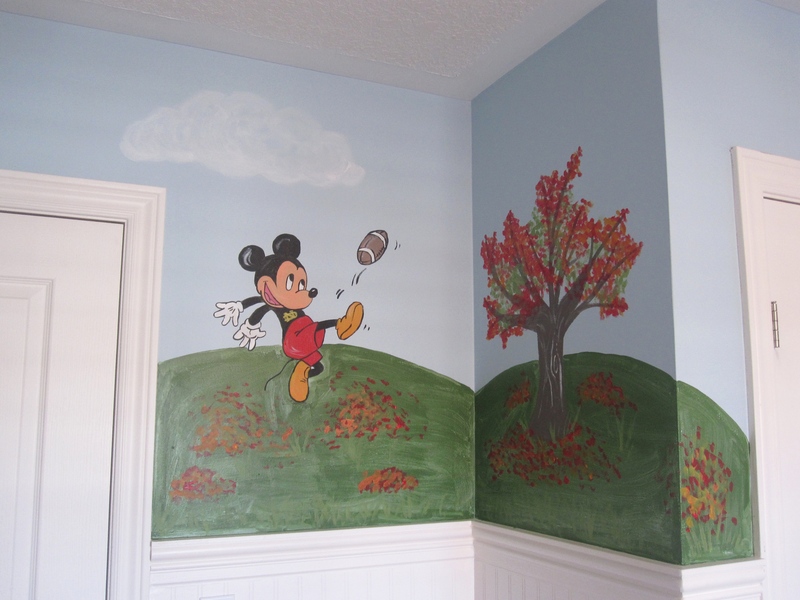 Previous Previous post: Happy Holidays From Nesting Story!